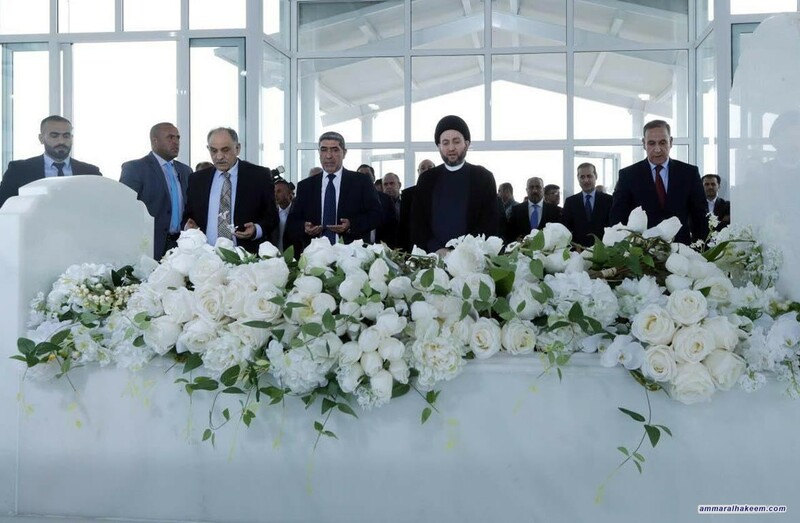 Head of the Al-Hikma National Movement, Sayyid Ammar al-Hakim, visited the tomb of President Jalal Talabani on Monday 15/10/2018. His eminence met the son of the late Mr. Bafel Talabani, and recalled the role of the deceased in enriching the Iraqi experience, especially during his presidency, and described the late as exemplary national establishment. His eminence stated that Mam Jalal, may God have mercy on him, defended all Iraqis of all background, affiliations and components, wished to continue Mam Jalal's approach by his sons and companions in the National Union, and prayed Almighty Allah to have mercy grant him paradise.